A drunken Homer appears on the show Taxicab Conversations and rants about how awful his life as a husband and father is. Although his family is at first outraged, they realize that they do somewhat burden him and decide to make up for it by sending him to a Rock ‘n Roll Fantasy Camp where he mingles with rock stars, including Mick Jagger and Keith Richards. The rock stars ask Homer to help out at a concert and, expecting that he will be allowed to perform, he accepts. Actually, they want him to test the microphones; however, a humiliated Homer grabs a guitar and starts playing. 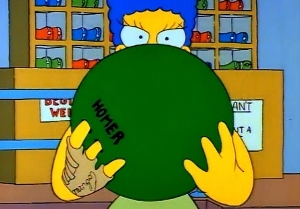 Having forgotten about Marge’s birthday, Homer rushes to the Springfield mall and impulsively buys her a bowling ball. Marge is not impressed with the gift and after discovering that he intends to use it, she decides to spite him by going bowling herself. While at the alley, she meets Jacques, a charming French bowling instructor, who offers her lessons. Jacques begins to fall for Marge and invites her to his apartment. Although she agrees, Marge undergoes a moral dilemma, but in the end visits Homer at the nuclear plant. The Simpsons go to a monster truck rally that features famous daredevil Lance Murdock. 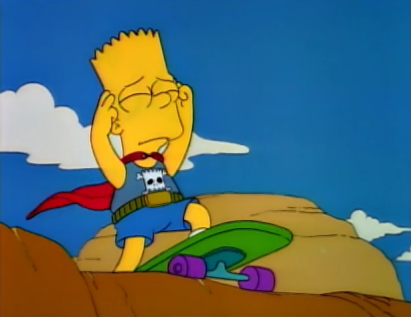 Bart immediately becomes enamored and decides that he wants to become a daredevil as well. 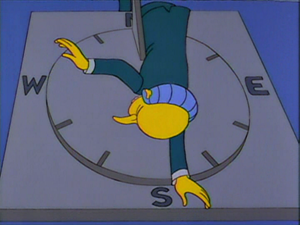 Bart’s first stunt ends in injury and despite the family and Dr. Hibbert’s best efforts, he continues to attempt stunts. Bart decides to jump the Springfield gorge, but Homer gets wind of his plan and makes Bart promise not to jump it. Bart immediately breaks his promise and goes to jump the gorge anyway, but Homer stops him just in time and finally gets Bart to swear he will stop being a daredevil. Homer accidentally ends up having to jump the gorge himself, failing in the attempt. Springfield Elementary School strikes oil, and plans to spend elaborately. Mr. Burns finds out about the oil and establishes a slant drilling operation to take it. As a result, Moe’s Tavern is closed, the Springfield Retirement Home collapses, Bart’s tree house is destroyed, Santa’s Little Helper is injured, and the school loses all of its money. Burns next decides to build a machine capable of blocking out the sun over Springfield. He fires Smithers, and Homer vows revenge after Burns repeatedly fails to remember his name. After an emergency town meeting, Burns sets up the sun blocker, believing he is invincible. However, he is shot by an unidentified assailant, and collapses on the town’s sundial. A new character, Poochie, is added to The Itchy & Scratchy Show as an attempt to boost failing ratings. Bart and Lisa convince Homer to audition for the voice of Poochie. 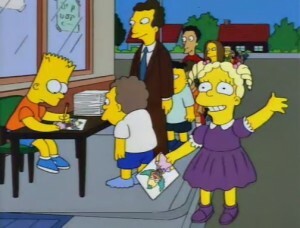 He gets the part and makes public appearances with the voice actor behind Itchy and Scratchy. 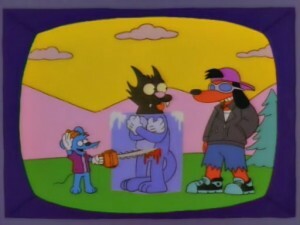 Poochie’s debut is not well received and the producers decide to kill him off. Homer refuses to cooperate and records a different version of the death scene. Homer is convinced that he managed to keep Poochie, but when the episode airs, the character is edited out. 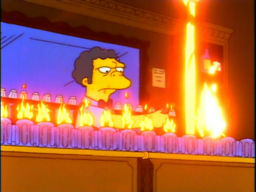 One night at Moe’s Tavern, Homer tells Moe Szyslak of a secret alcoholic cocktail made with cough syrup and fire that he calls “Flaming Homer”. When Moe tries Homer’s recipe in the bar, he finds it boosts his business and patronage, so Moe steals the recipe from Homer. Later, Moe is about to sell the recipe for $1,000,000 but Homer comes and divulges the secret ingredient, only to find out that Moe was planning to split the million with him. 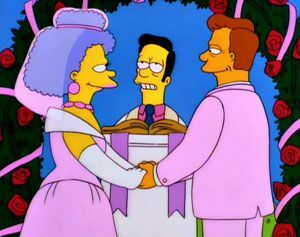 Troy McClure tries to save his dying career and debunk the rumors of his bizarre sexual life, by marrying Marge’s sister, Selma. Selma discovers that the marriage is a sham but decides that being a sham wife is okay. However, Troy is informed by his agent that becoming a father will help his career even more but Selma refuses to bring a child into their loveless marriage and leaves. After sneaking away from a school trip to a box factory, Bart sneaks onto the set of the Krusty the Clown show. He gets a job as Krusty’s production assistant and soon becomes sick of the job. One day, he is close to quitting, but Krusty runs up and says he needs to use Bart in a sketch. Bart becomes an accidental star when he says, “I didn’t do it” during the botched sketch. He becomes famous but soon becomes tired of being known for one line. Marge convinces him that the main thing is to make people happy, so Bart decides to continue, but the audience soon becomes tired of Bart’s act and forgets about him. After learning that Mr. Burns’ decision to revoke their dental plan has coincided with Lisa needing braces, Homer convinces his coworkers not to give up their dental plan and becomes the new head of the workers union at the Springfield Nuclear Power Plant. 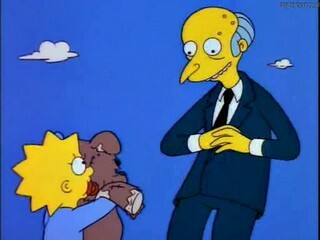 He holds talks with Mr. Burns, but these go badly because Homer is not intelligent enough to understand Burns’ sly innuendos. The plant goes on strike and Mr. Burns decides to take away the electricity for the entire town. 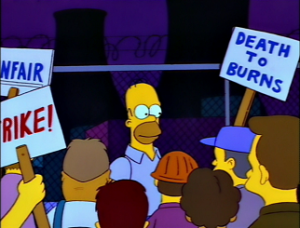 However, this just encourages the workers union and Burns decides to reach a deal with Homer. The Frank Grimes episode (Homers enemy) should be in the top ten.